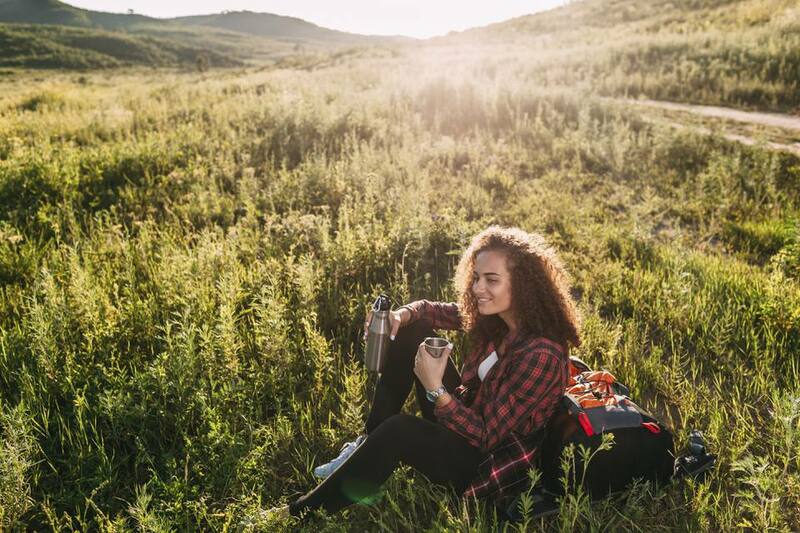 When packing for your camping trip, it's important to remember to pack the best gear for your journey, right down to the thermos you'll be using to carry your soups and beverages. Whether you're using these handy travel mugs for food or for liquids, knowing which brands and types are best for every weather condition is imperative to keep your supplies in top condition. Of all the thermoses on the market, those made of stainless steel are arguably the best for every type of camping adventure—because their construction relies on stainless steel instead of glass vacuum seals, they are less likely to break when jostled around in your backpack. Furthermore, the Teflon coating on the inside makes for easy cleaning, even when you're using boiled water from a campfire. Also, many travel thermoses now come with clips that can attach to the outside of your adventure pack so you won't need to worry about the contents spilling on the rest of your gear. Typically, you can find stainless steel thermoses at most outdoor supply stores, and they usually come in a variety of different sizes—from half-liter models to larger one-to-two-liter varieties. There are many manufacturers that make solid stainless thermos bottles, which should be the main criteria for backpacking purposes. From Stanley and Zojirushi to Yeti and Dura, the makers of fine stainless steel thermoses have continued to flood the market in recent years, so when it comes to deciding which is right for your needs, it really comes down to user preference, size, and aesthetics. Taking a trip to your local outdoor adventure or sporting supply store is probably your safest bet for comparing these thermoses, but you can also browse the collection of Stanley vacuum bottles online. Car camping is great, and it's a fantastic way to see the outdoors, but if you love hiking, camping, and the great outdoors you might want to go backpacking instead—the solitude of the trail along with the remote backcountry destination is an adventure you won't want to miss. Before you head out for the first time on a backpacking adventure, you'll want to make sure you have all the backpacking gear that you'll need for a comfortable trip and that you've researched the top destinations, parks, and wilderness areas for an epic backpacking adventure. This way, you'll know what you are getting yourself into because backpacking is a wilderness experience like no other. If you have never been backpacking before or are going again for the first time in a while, it's best that you get started hiking and feel comfortable and fit the trails. Once you are ready for an overnight trip, check your backpacking gear checklist and make sure you have all the gear you need.